COOL-FIT is a complete system solution for secondary cooling and refrigeration piping systems. 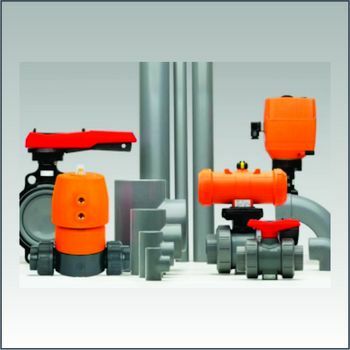 The system is based on the tried and tested ABS plastic system from GF Piping Systems which contains pipe fittings valves and transition fittings, now with the option for pre-insulated pipe and fittings with outer jackets in black. You can adapt the system solution to your particular needs. For example white pre-insulated for food production halls or standard plastic pipe with control valves for pump houses or OEM chillers. The system is water and vapour tight. Ideal for the transportation of chilled water, iced water, salt solutions, glycol solutions and organic salt solutions. COOL-FIT® ABS Plus is a pre-insulated plastic piping system for unrivaled energy efficiency and tough secondary cooling and refrigeration. COOL-FIT® ABS Lite is a pre-insulated version of COOL-FIT® ABS ready to install on-site for chilled water and air conditioning systems inside buildings. 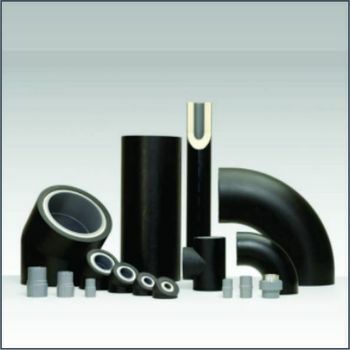 Plastic pipe dimensions are, by convention, specified by the outside diameter, usually denoted by e. This may be supplemented by stating the nominal inside diameter or DN. 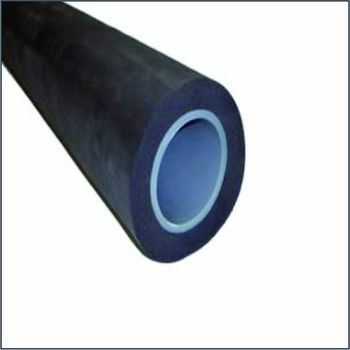 Sometimes the pipe wall thickness is specified by the SDR or Standard Dimension Ratio. SDR = d divided by e.
1.0 to 3.0 m/s for discharge lines.